Following on from our very wet start to 2018 it was no great surprise that we should encounter a Pied Heron around Broome on our return from our trip to more southern areas of Western Australia. 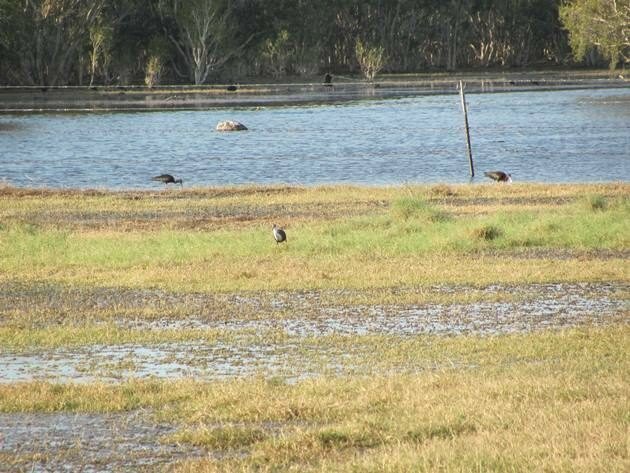 We had in fact encountered a lone Pied Heron on September 6th 2017 close to Broome, but it did not remain at the ephemeral lake for even a day to enable other local bird watchers to observe it. 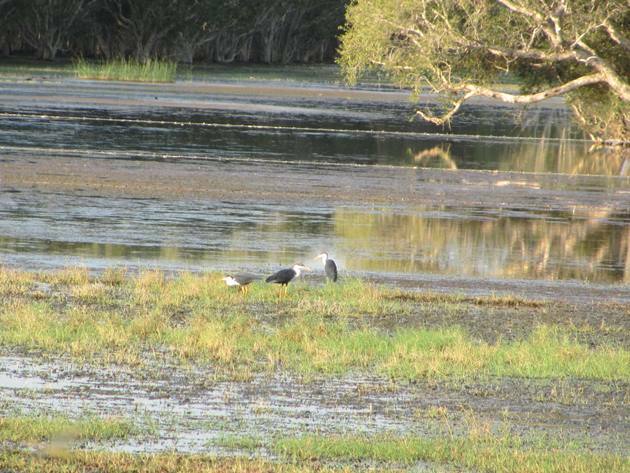 The observation of the initial two Pied Herons on March 1st 2018 was only to be the start of what turned out to be a good number of Pied Herons to the Broome area this year so far. Thankfully the Pied Herons were feeding very close to the highway, because it has been impossible to leave the bitumen in a vehicle for several months due to the land being so saturated. The peak number of Pied Herons that we observed at any time was fourteen individuals and they remained together for several weeks feeding together, but we did not establish where they may be roosting. There are some groups of dense trees where Nankeen Night-Herons are known to roost, so they probably joined them after dusk. 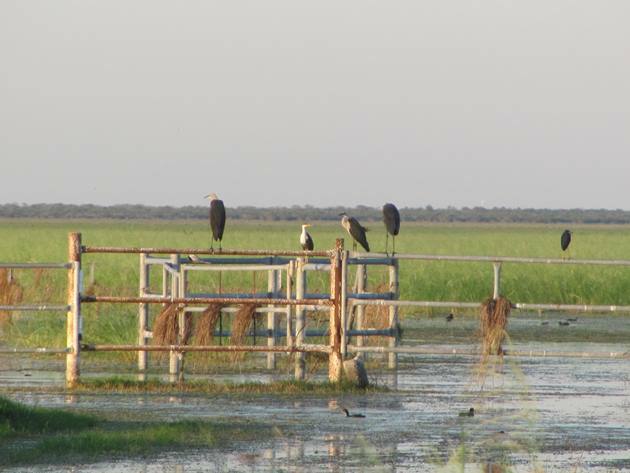 When the land was really flooded and saturated even the White-necked Herons took a break from standing in the water by standing on the gates to the station on the edge of the highway and often the Pied Herons would join them. 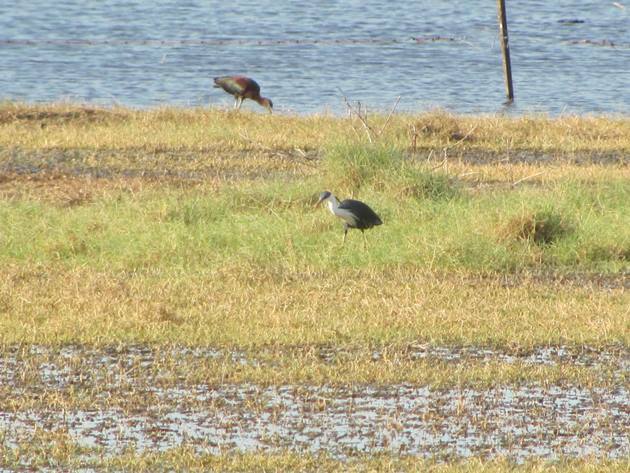 Pied Herons are a very small bird and having the two species side by side helps to demonstrate that! As the land dried the fourteen Pied Herons moved closer to town, but remained close to the highway and were easily observed from your vehicle. 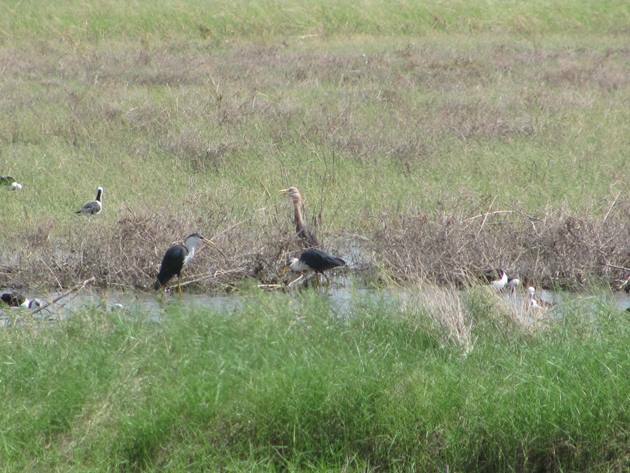 What was of particular interest was the presence of a rufous morph Pied Heron among the fourteen birds. 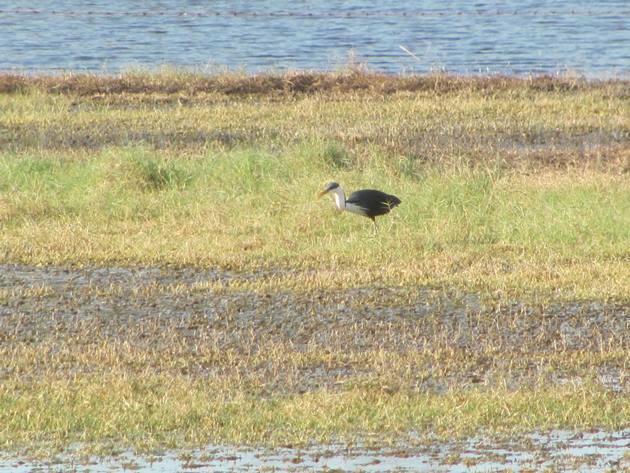 The rufous morph of the Pied Heron has only recently been described in The Australian Bird Guide and had not been described in previous field guides. 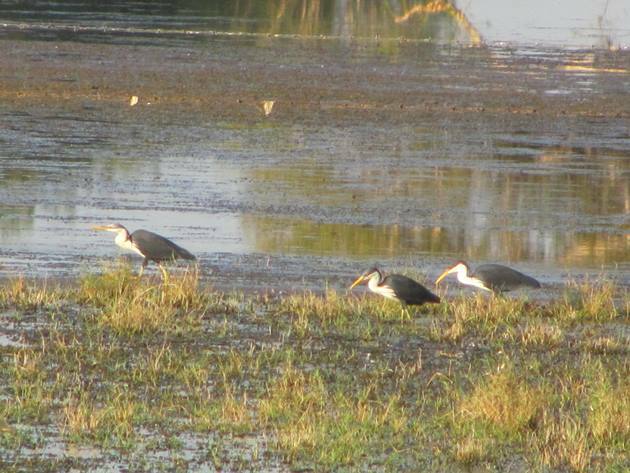 There is no white plumage on the rufous morph Pied Heron and it was accepted by the other Pied Herons and they all fed together. The land around Broome continues to dry out and we have not had rain for several months now. The Pied Herons have slowly dispersed and the last time we saw one close to the highway was on May 20th. It is a mystery as to where the Pied Herons came from to the north of Broome and where they have now gone, but it was really good to see them return to Broome once again this year in such good numbers. The Australian Shelduck that we first observed on May 2nd approximately 55kms/34 miles from Broome has now moved closer to town. As with any of these big rain events when anything can and will show up it is always a mystery as to where these bird species come from and where they go next.